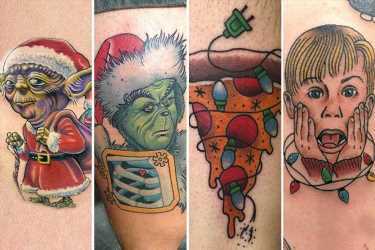 From pizza wrapped in tree lights to Macaulay Culkin in his classic Home Alone pose, some tattoo addicts have shared the most bizarre Christmas artwork. One brave individual had the Coca-Cola Santa enjoying the beverage on his arm in full colour, something that may look odd come summer. 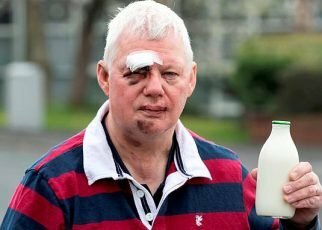 Another showed how their attempts to get into the Christmas spirit went awfully wrong when their ink Father Christmas looked more like an evil pirate. South Park's 'Christmas Poo' was another ridiculous design. Here we take a look at some of the most disastrous designs people have gone for in a bid to show their love for all things Christmassy. Christmas tree, oh Christmas… tree?